"Don't miss the IBM Think 2018 live stream on CoinDesk. 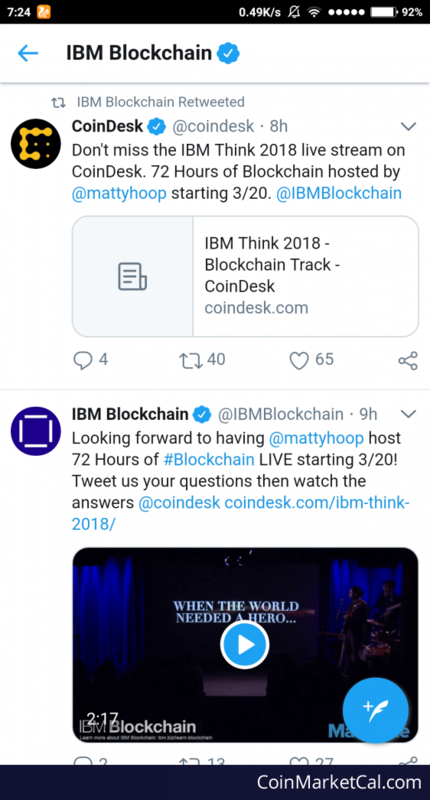 72 Hours of Blockchain hosted by @mattyhoop starting 3/20. @IBMBlockchain"